This is the first railway station opened in 1872. 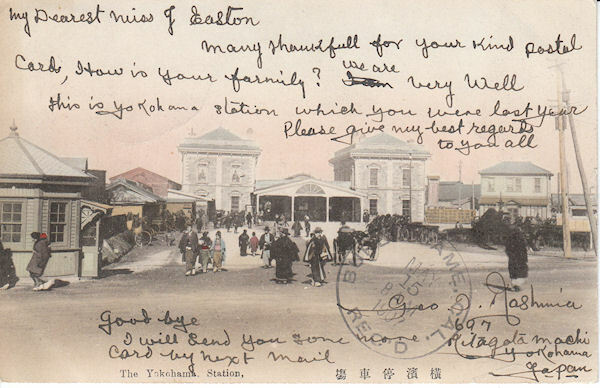 The postcard are send in May1907. The sender used the picture side for the message- writing on the back was first alliwed from 1.October 1907 after this card was send. 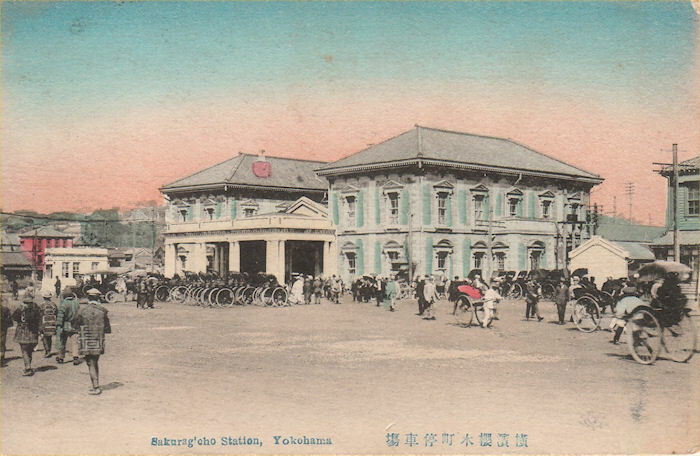 The Sakuragicho station with many rickshaws. 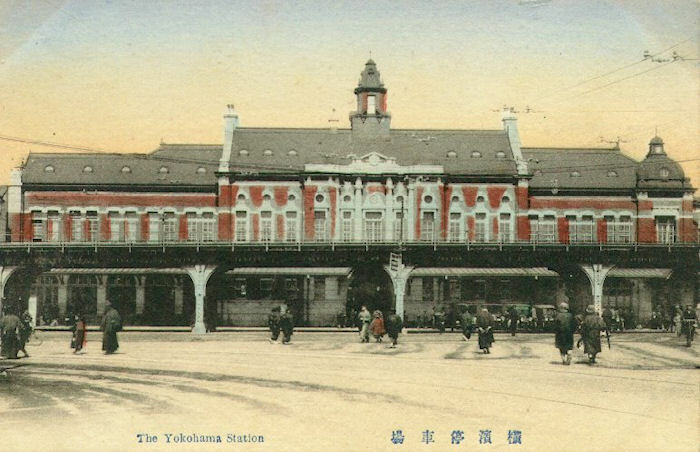 The same station as above but with a new name when Yokohama station was moved. The new Yokohama station from 1915 buildt in bricks. This station was not a end station but the train at the Tokaido line could go through this station. 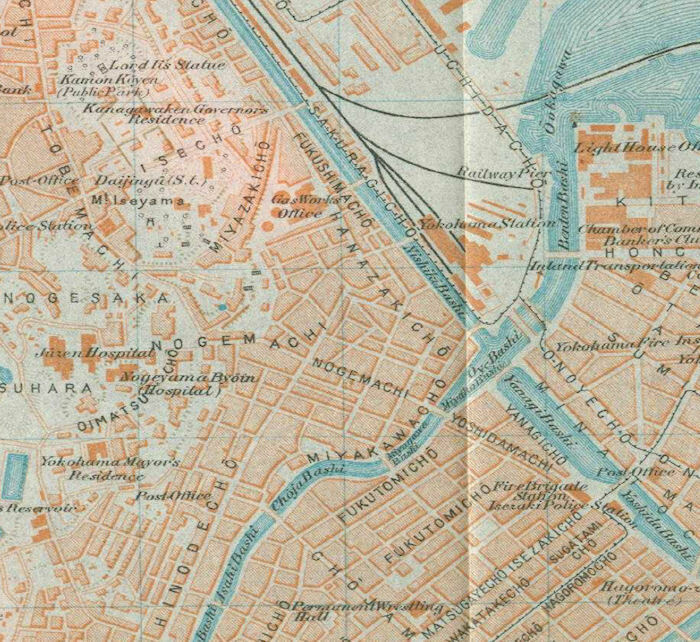 On the map can the original Yokohama station be seen.